Set sail on the best cruise ships in the world. Celebrity’s Creation Station for kids. By river or ocean, cruising lets you hit world highlights – and your bucket list – in each port of call. 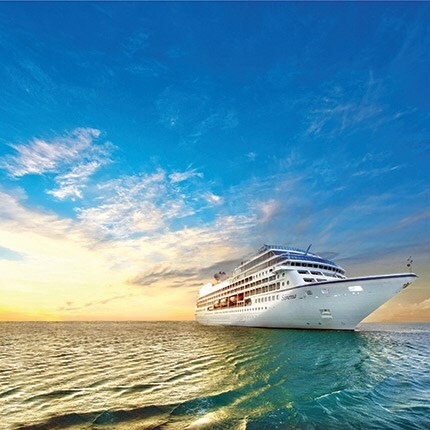 There are more than 30 cruise lines in the Virtuoso portfolio, ranging from mega ocean liners to boutique ships, expedition vessels, riverboats, and even yachts. 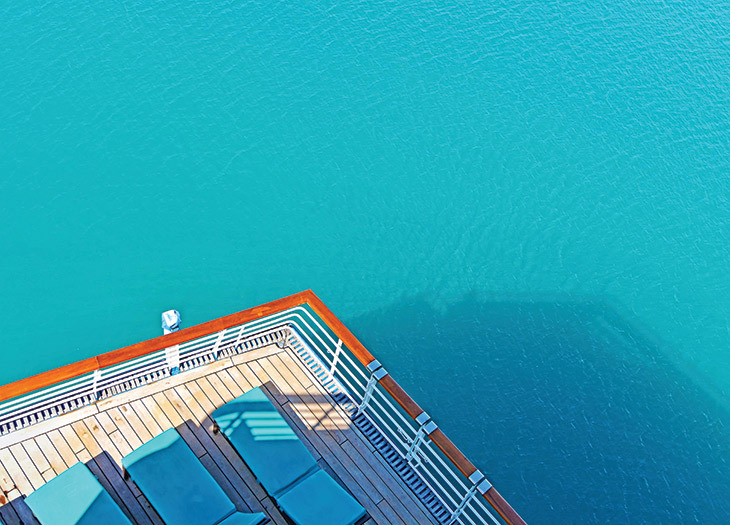 Here are 10 reasons why we love cruising. Check in and instantly check out from scheduled responsibilities other than planning your next day in port. From Champagne sail-away toasts to walks along open air promenades, on itineraries as varied as transatlantic crossings or island-hopping, breathe in and let the water views work their wonders. Enjoy the secret thrill of stowing your luggage out of sight for the duration of the trip. Embarkation, i.e., move-in day, is the last time in 7, 14, or 90 days (or more) that you’ll be bothered with your bags. Cruising allows you to settle in without settling for one setting. From the tropics to the poles, oh, the places you’ll go, all while dressing from a closet rather than a suitcase. Cruising’s bundled pricing means you avoid nickeling-and-diming, and it can result in some incredible extras, in addition to meals and entertainment. “Crystal, Regent, and some other luxury lines often include business-class airfare, which can be almost double when priced separately, so that’s a very nice deal,” says New York City-based Virtuoso travel advisor Julie Danziger. “Shipboard credits that you can use at the spa or in the shops are also nice perks.” Depending on the line, shore excursions, alcohol, and gratuities may also be included, further enhancing the value. Explore the art of miniature desserts or master the science of high-heat grilling in classes at the Culinary Arts Kitchen, a hands-on teaching facility and the very first cooking school from Regent Seven Seas Cruises, aboard its newest ship, Seven Seas Explorer. Take a wine seminar on aromas, tannins, or stemware to pair with certain vintages – sometimes with the winemakers themselves – at The Cellars, a Michael Mondavi Family Wine Bar, aboard Norwegian Cruise Line’s Norwegian Escape and Norwegian Dawn. Chef’s Table menus aboard AmaWaterways’ river ships have been revamped to include three appetizers, three main dishes, and three desserts. Don’t worry about choosing: You get all nine, in mini portions, served at tables overlooking the exhibition kitchen. Bike, hike, and canoe along the Danube River on new active itineraries between Linz and Budapest from Avalon Waterways. Return feeling younger with a medi spa treatment aboard Crystal Cruises’ Crystal Symphony and Crystal Serenity, offering noninvasive dermal fillers, skin tightening therapy, and wrinkle treatments. Regional spa treatments from the boutique line Red Flower, including an Arctic-inspired, antioxidant-rich massage using evergreen oils or a Japanese ritual combining a ginger body scrub and facial acupressure massage, are now beautifying passengers aboard Regent Seven Seas Cruises’ Seven Seas Explorer. Your kid will come back smarter after participating in Celebrity Cruises’ new Anturus Explorer Academy. Connecting science to the real world using interactive activities, group experiments, and outings, the program explores navigation, time, and weather systems. For the artists in the family, Celebrity’s Creation Station offers arts and crafts and the opportunity to create a custom Budsies stuffed animal. Go on themed scavenger hunts, bake cookies, or belt out karaoke hits at the newly remodeled Fantasia and Waves clubs for children and teens, respectively, aboard Crystal Cruises’ Serenity and Symphony. Baby on board? Entrust children as young as 6 months to the nannies aboard Norwegian Cruise Line’s newest ship, Norwegian Escape, and rest well for an hour or two. Virtuoso Voyages is a perks program that offers shipboard credits, entrée to private cocktail parties and exclusive shore excursions, and more. Gain access to the complimentary extras via your travel advisor. Explore old and new Shanghai on a private tour that spans a sixteenth-century residence, art deco architectural icons, and a forward-looking urban planning museum with Crystal Cruises, Holland America Line, Regent Seven Seas Cruises, and Silversea Cruises. Tour the 700-year-old fish market in historic Bergen, Norway, followed by a boat ride to Holmen Island for lunch at the acclaimed Cornelius seafood restaurant with Azamara Club Cruises, Crystal Cruises, Oceania Cruises, and Seabourn. In Ho Chi Minh City, attend a private cocktail party before dinner in the grand dining room at the former residence of Henry Cabot Lodge Jr., once the American ambassador to South Vietnam, with Azamara Club Cruises, Oceania Cruises, Regent Seven Seas Cruises, Seabourn, and Silversea Cruises. Today, cruise lines offer educational opportunities, workshops by renowned experts, special guest speakers, and more. Frame up those blue-footed boobies and giant tortoises in the Galápagos Islands with the help of certified photographers aboard Lindblad Expeditions’ latest ship, the National Geographic Endeavour II. A new production, An Evening with Tim Rice, takes audiences on a musical journey through the best-known works – including Evita and The Lion King – of the acclaimed theater lyricist. The show debuted on Seabourn’s newest ship, Seabourn Encore, in January, and will be playing fleetwide. Rice will also make select appearances on cruises throughout the show’s run. Explore your family tree with genealogy pros from Ancestry.com on a specific themed transatlantic crossing with Cunard. Rent a villa for the day at Great Stirrup Cay, a private Bahamian island owned by Norwegian Cruise Line, which is opening 22 private villas with pools on the cay this summer. Take in a bellydancing performance in Tangier, Morocco, or a live concert at Turkey’s Celsus Library in Ephesus during private destination discovery events with Windstar Cruises. Work with orphans in Rio de Janeiro or clean a beach in Hawaii with Crystal Cruises’ “You Care, We Care” volunteer excursions.